Roybal-Mack & Cordova, P.C. is a boutique law firm that combines personal service and talented lawyers. The law firm was founded on the principle that clients deserve to have zealous advocacy, a knowledgeable attorney, and cost-effective representation. At Roybal-Mack & Cordova, P.C. you will always have individual attention and access to your attorney. Roybal-Mack & Cordova, P.C. safeguards you through every legal transaction, whether it is settling a contract dispute, facing a divorce, working out a child custody agreement, drafting employment contracts and policies, working on wage and hour disputes or bringing charges against an employer for workplace harassment. We make sure you understand all the legal issues, risks and consequences involved in your case so you can make the best decisions and achieve your goals. We are committed to building lasting relationships with clients by offering an honest, personal, results-oriented and cost-effective approach. We have earned the respect of clients and have built a strong reputation among the judges and lawyers within the Albuquerque legal community and New Mexico. Roybal-Mack Cordova, P.C. represents individuals, families, and businesses in Albuquerque, New Mexico. 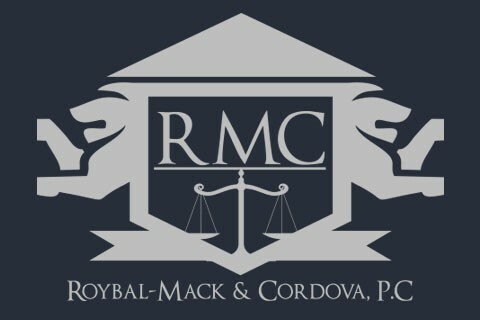 Call Roybal-Mack Cordova, P.C. at 505-288-3500 to schedule an appointment or contact the firm online to arrange your free initial consultation.